More today from Linda and Andy’s wedding. I’m so in love with these late summer/early fall colors. And for those of you who love the Biltmore’s Imperial Ballroom, these colors are a great complement to the blues and patterns. Bright and joyful! 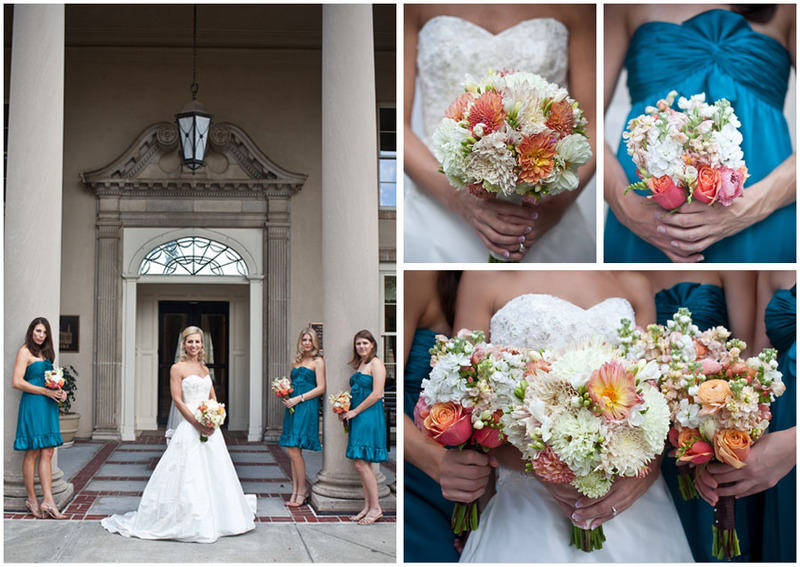 Florals by the always-awesome Carla Duncan of On Occasions of Atlanta.